Klopp and Wenger ready to battle over a player again, and it isn't Thomas Lemar. Arsenal and Liverpool are eyeing Stoke City keeper, Jack Butland, as their number 1 in between the sticks. The report from The Sun claims that the Premier League rivals are in the chase to sign the English International. Jack Butland has established himself as one of the top keepers in England and is giving sleepless nights to English number one, for the moment, Joe Hart. The Manchester City man is currently spending the season on loan with the Hammers, and has seen a significant dip in form and playing-time, over the last couple of seasons (since City brought in Pep Guardiola as Manager). Butland could be well on his way to usurp the former Torino man, in the national team. Hardly surprising, considering the quality of the performances from the man who has 6 international caps, with a decent case to add to that number. The Dailystar, while addressing the same rumour, placed the Reds as favorites to land the Potter ahead of the team from north London. Earlier, The Mirror had reported that Chelsea had also singled-out Butland as a possible replacement for Thibaut Courtois should the Belgian leave for Real Madrid, in case David de Gea stays at Manchester United. But the English Keeper would favor a move to Anfield instead of Stamford Bridge, according to the same report. The reasons for Liverpool's search for a long-term keeper to replace the likes of Simon Mignolet and Loris Karius (both of whom have failed to hold down a regular starting place in the team) have been well documented. Jurgen Klopp's side has struggled for stability at the back, with unforgivable errors from both men with the gloves, a constant feature of their last two seasons. The Merseyside club has strengthened at the back with Virgil van Dijk's arrival and will look to further strengthen the defence, by bringing in Jack Butland in goal. Meanwhile, Arsenal have been in the market to find a replacement for the ageing Petr Cech in goal, who has shown that he is prone to errors these days that Arsenal could do without. The Czech's replacement, David Ospina, has never really been in the hunt for a starting spot in the league for the Gunners. Thus, their interest in one of the top young keepers in the English game comes as no surprise. They will have to face stiff resistance from Stoke City though, apart from out-bidding Liverpool in the race to land the man from Bristol. With both sides desperate to add a top quality keeper, this transfer battle will peak the interest of fans from both Premier League clubs. The possibility of the Stoke City man moving is fairly high, with the asking price set at a reasonable £40 million (Yes, £40 million for a keeper is fair game these days). 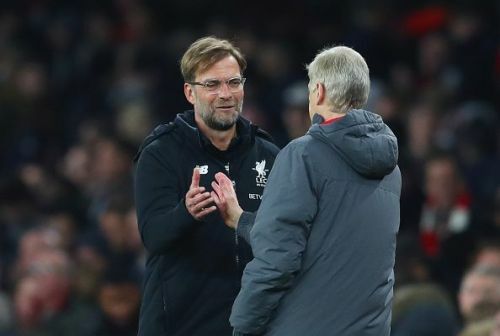 Arsenal, and specifically Liverpool, have to spend on a keeper in the coming transfer market, if they want to improve their performances, especially defensively. WIth the Englishman turning 25 next month, the option of signing him will be far too enticing for either club to pass on, considering the lack of quality keepers with experience in Europe. This particular transfer, should it go through, will be a major boost for whichever club lands the man who started his career at Birmingham. He has solidified his status as an excellent shot-stopper. Standing tall at 1.96m, Butland is a force in the air and isn't afraid of coming off his line to gather the ball from crosses. He is also decent with the ball at his feet. All attributes which are vital for the modern-day goalkeeper are present in the Stoke City man, who is waiting to start his career as an established number 1 for a top level team. Very few keepers are of the same level as he is and considering the £100+ million valuations for the likes of de Gea and Courtois, £40 million for Jack Butland is an absolute steal.